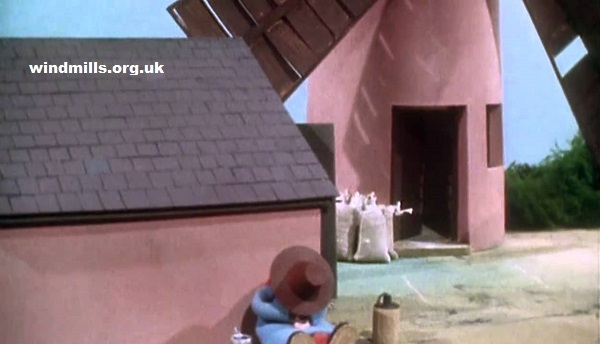 Perhaps the most famous miller is Windy Miller from the late 1960s children’s television, Camberwick Green. Not so long ago Windy popped up in a new advertisement for Quaker Oats. Here he is in one of what I think were four different versions. The advert finishes with Windy getting in a sports car and putting his arm around Molly, the barmaid from the Feathers pub! See our previous post on Windy Miller! This entry was posted in Windmills on August 21, 2014 by Tower Mill.